No flower expresses spring’s fun and cheerful side like the sweet pea. With their butterfly-like shape, sweet peas have a delicate, yet playful beauty that looks wonderful in wedding floral decor. 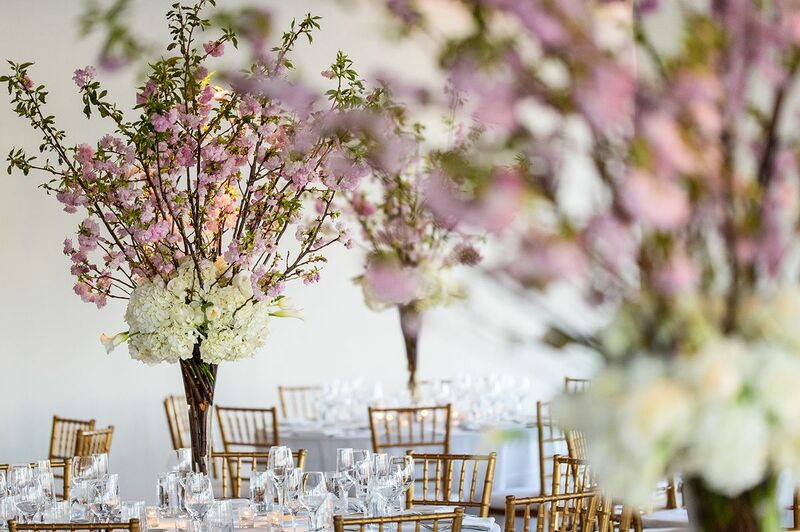 Blossoming in bold and pastel shades of pink, purple, red, yellow, and white, they are the perfect flower choice when you want to add a pop of color to a celebration. The sweet pea’s origin is traced back to the 17th century when a Sicilian monk is said to have sent seeds to England. Soon after, Henry Eckford, a Scottish nurseryman, breeded the flower to how we know it today. The bloom became popular in the 1800s when it was considered the floral emblem of Edwardian England and was used to decorate weddings and parties. In the language of flowers, the sweet pea symbolizes delicate pleasure, bliss, good-bye, and thank you for a lovely time.